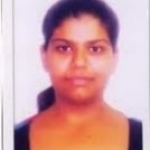 Mahima Sahi from Chandigarh, B.A Graduate. Mahima Sahi is Psychology and currently have no work experience. COUNSELING CLINICAL PSYCHOLOGY CHILD PSYCHOPATHOLOG..
are one of expert skill area's of Mahima Sahi . Mahima Sahi is working in Health Care industry.